Today’s cake features a gorgeous design inspired by vintage battenberg lace, giving the cake a modern yet classic look. This cake is almost too pretty to eat and we’re sure your guests will feel the same. 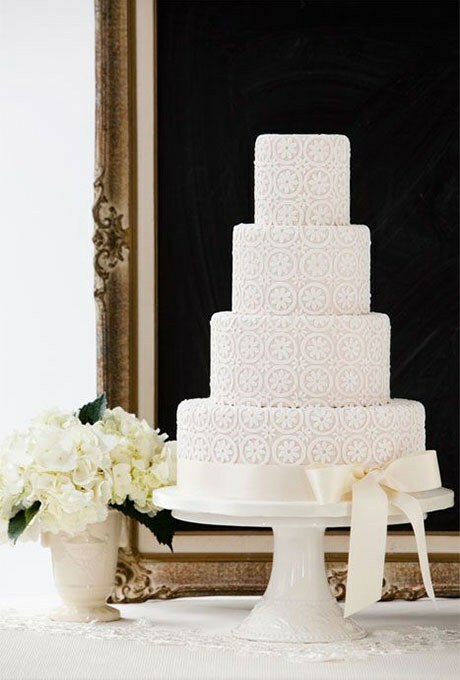 No cake topper is necessary with this confection, but the addition of the bow on the bottom tier is perfection. You’ll find this wedding cake here. It was created by Bobbette & Belle.